Big scoop over on 9to5mac about the next version of iOS. Apple are finally adding a system wide Dark Mode! First, the long-awaited Dark Mode is finally coming to the iPhone and iPad with iOS 13. There will be a system-wide Dark Mode that can be enabled in Settings, including a high contrast version, similar to what’s already available on macOS. Speaking of macOS, iPad apps that run on the Mac using Marzipan will finally take advantage of the Dark Mode support on both systems. Apple Arcade is an interesting new service due to be launched this year by Apple. Time will tell if it can take iOS/Mac gaming to the next level, but the premise is definitely worth watching out for. Beginning sometime in the fall, you’ll be able to pay Apple an unspecified subscription fee that grants access to around 100 “new and exclusive” games. None of the games will have in-app purchases, and they will only be playable on iOS devices and Macs. All of the games will be accessible offline. Subtle clues that Apple wants to get serious about gaming have been dropping for months. With iOS 12, for instance, Apple finally allowed MFi (Made for iPhone) controllers to use the “L3” and “R3” buttons, which you normally activate by pressing down on a gamepad’s thumbsticks. For whatever reason, Apple previously wouldn’t certify controllers that allowed you to do this, which effectively made some iOS ports unplayable. I don’t think it’s an exaggeration to say that this kept iOS gaming from being bigger than it could have been. The new Rotor Riot controller is the first one to take advantage of that, and I have little doubt that others will follow suit in the near future. The new iPads released over the past few days have added even more confusion over iPad naming. 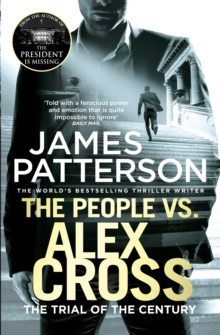 Another in a long list of Alex Cross stories. This time, detective Cross finds himself at the wrong side of the law as he tries to defend himself for the murder of followers of an old nemesis. In the meantime, while suspended from his day job, he accompanies his former partner Sampson in another case that involves missing blonde women and the dark web. I’ve read several Alex Cross books in the past and always find them entertaining. Chapters rarely go beyond four pages so there is always a sense of progress when reading them them. James Patterson is a master of keeping the suspense high, as he jumps between each different plot at a fast pace from chapter to chapter. Fans of fictional crime and easy reads will enjoy this book. Highlight: The final few chapters where the perpetrators of the kidnappings are found. 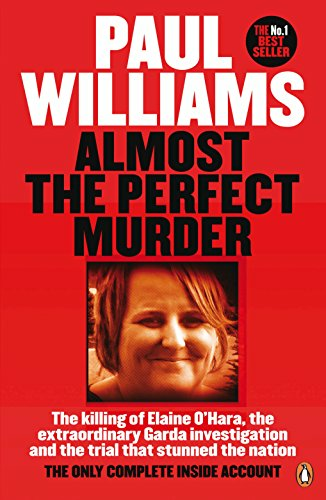 Almost the Perfect Murder is a true crime book about the murder of Elaine O’Hara in 2012 and the trial or Graham Dwyer which was well documented in the media in Ireland back in 2015. Written by Paul Williams, the book details the life of Elaine O’Hara, up to the point that she went missing and then onto the crazy coincidences and investigation that brought about the conviction of Graham Dwyer for her murder. Despite the sometimes graphic content, the book is an easy read and does a good job of laying the facts out to the reader without swaying in favor of anyone. This was, as described by Williams, like a ‘Hollywood’ case that you could easily see a film being made about. There’s not much I can write here without spoiling the book, but any fans of true crime, particularly those in Ireland, should read this. Highlight: The investigation and build up of evidence against Dwyer leading to his arrest. An interesting report from Bloomberg on Apple’s plans for the rest of 2019 and onto 2020. We are at the point where it’s getting harder and harder to make meaningful updates to smartphones year after year, or at least meaningful enough to convince people to upgrade. Focussing on camera improvements is not exactly a new tactic from Apple, but it is something that is always appreciated when upgrading. For 2019, Apple plans successors to the iPhone XS and iPhone XS Max – code-named D42 and D43 – and an update to the iPhone XR, said the people. The larger of the new high-end iPhones will have three cameras on the back, and other handsets could eventually come with the upgraded system, too, the people said. A third camera on the back of the 2019 iPhone will help the device capture a larger field of view and enable a wider range of zoom. It will also capture more pixels so Apple software could, for example, automatically repair a video or photo to fit in a subject that may have been accidentally cut off from the initial shot, according to the people familiar with the plans. The company is also planning an enhanced version of its Live Photos feature, which pins video from before and after each shot to the photo. The new version will double the length of the video from three seconds to six seconds. This year’s iPhone models will include an upgraded Apple processor and use an updated Face ID sensor for unlocking the device and approving payments, the people said. Apple’s next operating system update, iOS 13, will include a dark mode option for easier nighttime viewing and improvements to CarPlay, the company’s in-vehicle software. There will also be iPad-specific upgrades like a new home screen, the ability to tab through multiple versions of a single app like pages in a web browser, and improvements to file management. My father landed this book on a shelf in my room years ago after he had read it. 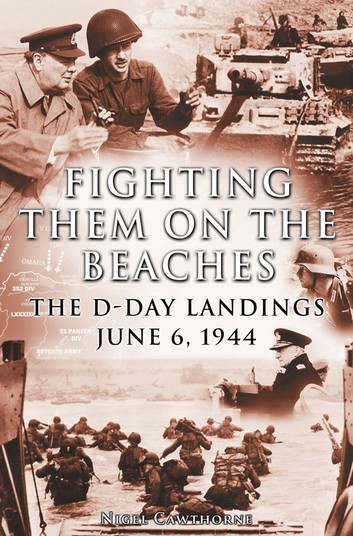 As part of an effort to read more books I decided that “Fighting Them on the Beaches” would be a good start. Written by Nigel Cawthorne, this book takes the reader through the build up to the D-Day landings along the beaches of Northern France. This is a topic that I remember finding interesting back in school, probably aided by the many hours spent playing Medal of Honor games back in the PS2 days. The book begins by describing the foothold that the Axis powers had over much of Europe at the time, notably the Atlantic Wall which provided a line of defence stretching from Scandinavia to southern France. The following chapters then describe the weapons and vehicles used, the deception involved and the immense planning by the Allies for D-Day, where they would storm several beaches in northern France and begin their counter attack to take back Europe. The landing themselves are broken down into separate chapters for each beach, codenamed Sword, Juno, Gold, Omaha and Utah. While sometimes heavy with names of people, places and equipment, the book is a relatively easy read and gives a good account of the scale and importance of the landings. I have a feeling it won’t be the last WW2 book I’ll be reading. Highlight: The chapter outlining Operation Fortitude, the successful operation by the Allies to convince Hitler that attacks would come in various other parts of Europe and France in order to ensure that Axis forces were not at full strength when they attacked. 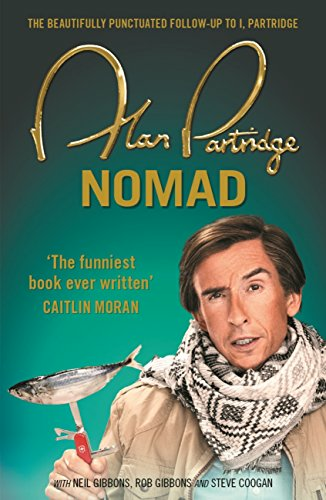 Following on from 2011’s brilliant “I, Partridge: We Need to Talk About Alan”, “Alan Partridge: Nomad” follows Alan on a journey in the footsteps of his late father, from Norwich to Dungeness ‘A’ nuclear reactor by foot 1. The book is written in typical Partridge style, focusing in on the most mundane things you could think of, such as a visit to the London Container Terminal in Essex, the M20 motorway and Gatwick Airport. Along the journey, Alan takes several detours which he attempts to defend as necessary, but which are clearly being used as a way of enhancing his career. He also frequently manages to cover only a fraction of the distance that he aims to each day, and spends most nights in a local B&B, usually leaving a poor review on TripAdvisor the following day. Fans of Partridge will no doubt enjoy this book - I know I certainly did. For someone familiar with the character but not sure about reading a book about him, I’d point them towards “I, Partridge” first. Highlight: A chapter dedicated to explaining the various reasons for Alan’s feud with Noel Edmonds. Federico Viticci’s annual list of must-have iOS apps has been released - an annual tradition on MacStories 1. As per usual, I will talk about the apps on the list that I also have installed on my devices. It’s hard for me to say that the Dropbox app is very impressive or essential unless you use the service itself. I split my cloud storage between Dropbox, Google Drive and iCloud Drive. I should probable just dump everything into one of these services to simplify things. The Dropbox app itself does exactly what you’d expect, and does it well. It allows you to view, edit and organize files with ease and I’ve yet to see any bugs that prevent me to do so. With the release of Files.app by Apple, I do find myself using it a lot less, but at the same time I wouldn’t be without it. If you have ever forgotten a password at any time, just download 1Password for your own sanity. I can’t count the amount of times it’s made my life easy. The app is actively refreshed and well supported on many platforms. I’m not an active poster, but I find the Instagram app particularly good at recommending photos to me. I could spend hours trawling through the various categories. One notable issue is the lack of support for iPad. iPad is surely an ideal device for view Instagram photos. It seems very odd that this hasn’t been added after all this time, particularly with the might of Facebook behind it. This is still one of my most used apps. Very little has changed since I last wrote about it, so I won’t repeat myself. The best iOS podcast player in my book. Overcast has been completely redesigned in the last year and is going from strength to strength. It’s the app that I point anyone I know towards who is looking to start listening to podcasts. Another app that I use on a daily basis. Google have added a dark mode which I love, and keep it on a steady update schedule. One complaint I have is that I that Chromecast integration has got less reliable in recent months. I’m not sure if it’s to do with the app or with Chromecast itself, but it’s a pain. An app that speaks for itself. Apple maps is still nowhere closer to Google Maps in my book. I use Google Maps often, be it on mobile or desktop. It’s an excellent service that’s only getting better. At the end of the day, Tony Hawk’s Skate Jam just looks and feels like a incredibly low-effort reskin of the developer’s other game, Skate Party (Free) (which actually had Mike V. branding until recently) which was another super mediocre skateboarding game on the App Store. It would be easy to say, “Hey, well, whatever, this is the closest we’ll get to a real Tony Hawk game on the iPhone,” but we’ve already had a real Tony Hawk game. Eight years ago. With all the technological advances we’ve seen over the years, it’s baffling that they managed to release a worse game than a hacked together port of a Dreamcast title with, admittedly, very less than ideal virtual controls. I’d suggest just downloading Tony Hawk Pro Skater 2 instead, but, well, you can’t. Another day, another below par freemium iOS game released. It’s such a pity that these kind of games are the only ones worth releasing on the App Store for game developers these days. Like Eli, I downloaded Tony Hawks Pro Skater 2 on my iPhone all those years ago and loved every minute of it. As has been the trend for a long time on the App Store, it was pulled due to the overhead of keeping it updated in line with iOS. I’d love to see some sort of mechanism built into iOS to allow older, no longer supported games to be ran on the latest iOS versions in some form of emulator. That would at least guarantee that older games would not dissapear without a trace just a few short years after release.